I am the founder of SEO-Service-Provider.org and I was Google Adwords Certified. 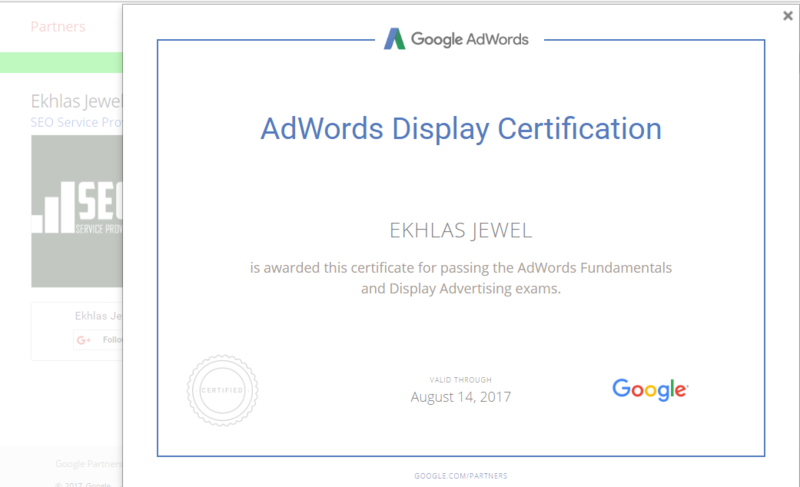 After July 2017, I decided I will not participate in any Adwords exams. Helping Christopher Steele – Non religious marriage celebrant in Adelaide, South Australia to enlarge his business. Google Adwords campaign optimization for one of our clients. Ad group and keywords are hidden to viewers according to client’s request! Campaign Management for Antennify.com – Antennify provides TV Wall, TV Point, Pre Wiring, Antenna, and Home Theater installation services in Australia. Successfully optimized and managed Antennify.com adwords campaign. Google Adwords & Analytics linking. 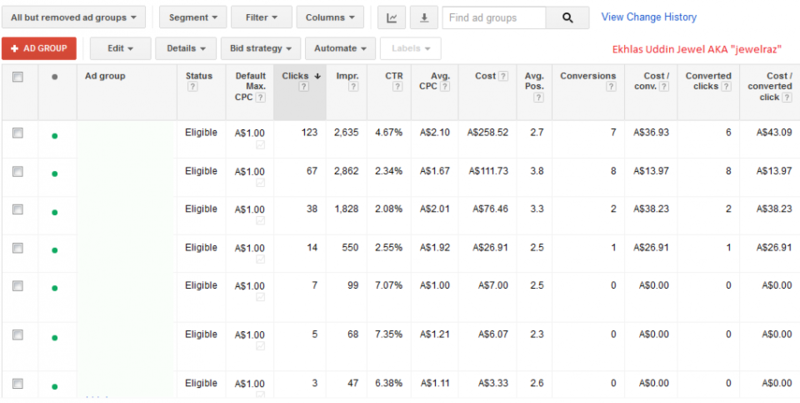 After linking Google Adwords account with Google Analytics account, client can view Google Analytics metrics under Customize columns section in Google Adwords. If Google Analytics metric appears under Customize columns then you will understand that the linking is successful. Google Adwords campaign optimization for one of our clients. Campaign panels are hidden to viewers according to client’s request! A lot more coming! If you want us to manage your adwords campaigns please feel free to contact us as soon as you can. Time is money and you need to optimize your time properly! Don’t delay, hire us now to grow your business.